Time for some mid-challenge inspiration for the current Festive Friday Challenge! The first one, like last week's, focuses on the chairs. 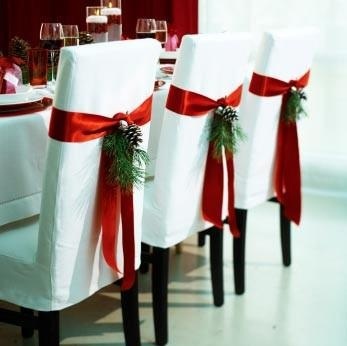 All that white space, shimmery red ribbon and some pops of brown and green. I used a Savvy die in Early Espresso sponged in white, a Victorine Originals Pinebranch stamped off once in Mossy Meadow and an unknown (but oh-so-useful) 'to the world'. My next card focuses on the candles in the jars on the table. 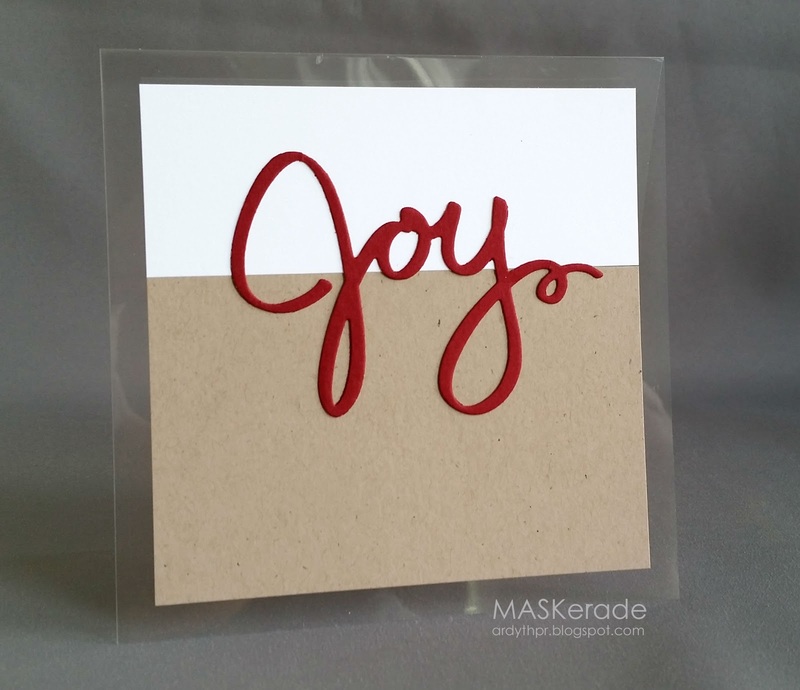 I love the layered look of the white, dark red and sand all contained in the glass, so I incorporated those elements into my card made out of a transparency sheet. I used a Stampin' Up die which I think looks a lot like ribbon, and which also works for this inspiration photo! Finally, I went ultra-CAS. One layer, two colours, 5 stamps. 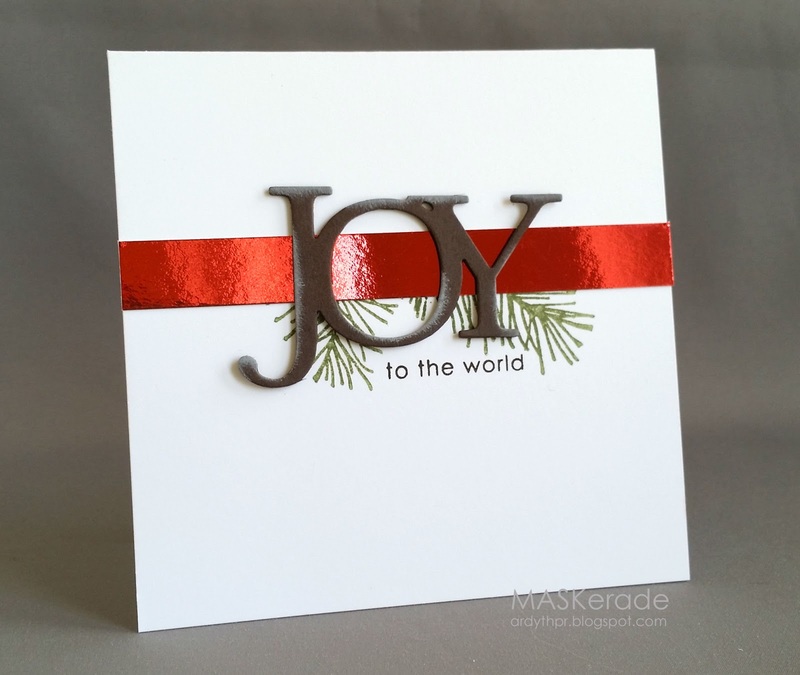 The sentiment is Gina K Designs, and the holly and berries came from the PTI Tinsel and Tags kit. The deadline for this challenge is Wednesday Oct 22 at midnight - hope to see you there! Three beautiful cards. Love how clean and crisp they all are. You nailed it with all three cards! Those 2 Joy cards are so classy and crisp! I love this photo too and finally have made a card, after staring at it for a week. 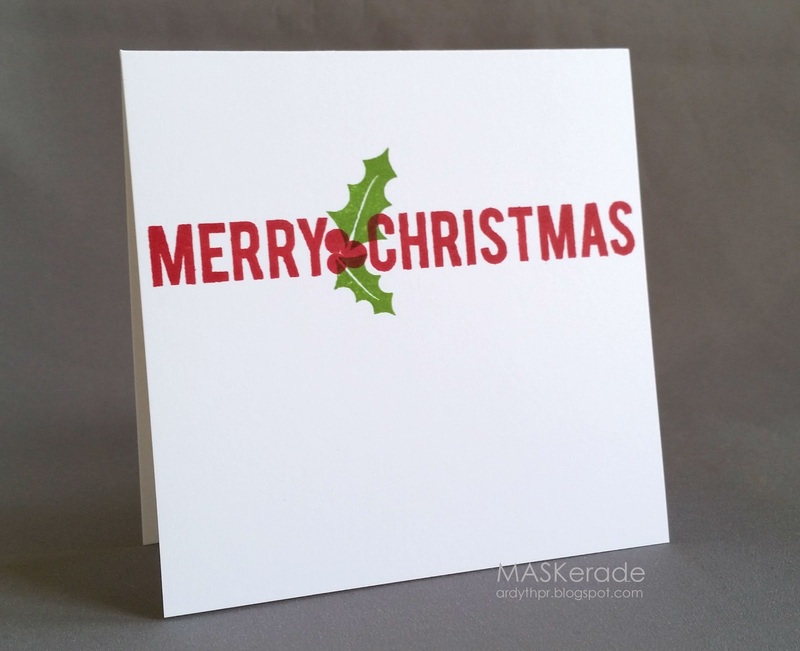 I adore the middle card, fab graphic look and the clear sheet is genius! A trio of beautiful Christmas cards! Wonderful designs! I love that each look different, yet follow the inspiration! Beautifully done!